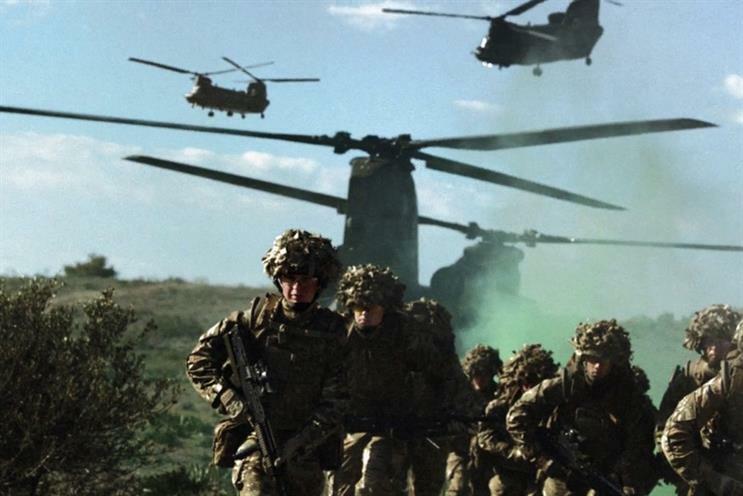 Capita is contacting creative agencies about a new TV campaign for the Army. The outsourcing giant, which is running the pitch in-house, started approaching agencies last week to see if they were interested in completing an RFI. The brief is for an Army recruitment ad that will run on TV after Christmas. J Walter Thompson usually handles recruitment campaigns for Capita on behalf of the Army. The agency was part of the Capita-led consortium that won a pitch for the Ministry of Defence’s Recruiting Partnering Project in 2012. The contract was reportedly worth £44 million annually for ten years, and includes IT and advertising. The WPP agency still handles all the digital, SEO and CRM work relating to the recruiting project and will pitch for the TV brief. JWT’s most recent TV campaign for the Army was released in January 2014 and was called "more than meets the eye". It showed soldiers in action next to captions about the trade skills they had learned while in the armed forces. A spokeswoman for Capita said: "As the requirements of the Army, the recruiting offer and the target audiences’ choice of media and experiences has developed, the attraction and supporting marketing and communications strategy and requirements has evolved. "Capita now works with a number of agencies, including JWT, and draws on the resources and skills of its own business to deliver an efficient and highly co-ordinated and complementary marketing attraction strategy to deliver the recruiting needs of the Army." The Army also appointed Engine last year. The shop created an ad in January to boost recruitment for the Army Reserve and explain its role.